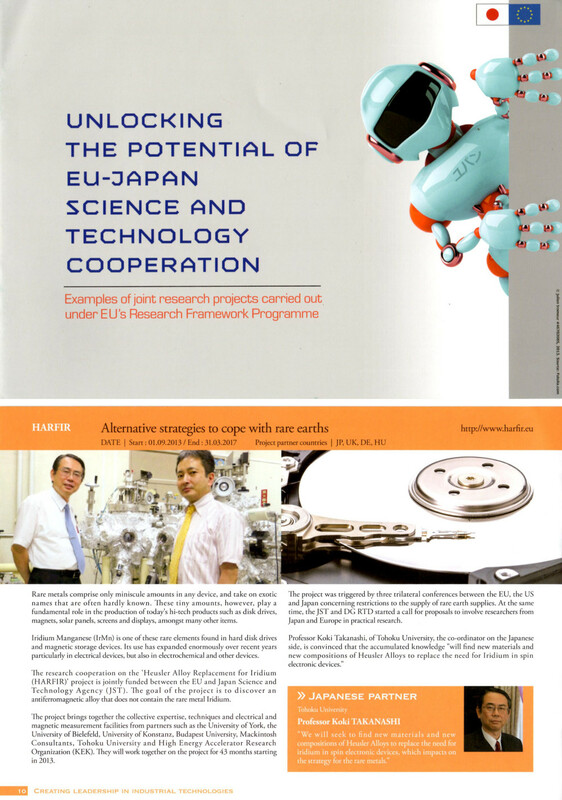 HARFIR has been featured in a booklet produced by the Delegation of the European Union to Japan. 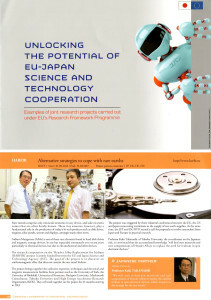 The booklet is entitled “Unlocking the Potential of EU-Japan Science and Technology Cooperation”. The project’s Japanese Coordinator, Prof. Koki Takanashi, was consulted on the article and is quoted in it. It also includes a photo of him with the Project’s Scientific Coordinator, Prof. Atsufumi Hirohata.